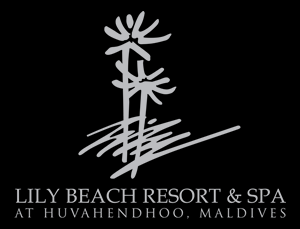 Planning a holiday to Lily Beach Resort & Spa, Maldives, is exciting in itself. Whether it be your honeymoon, wedding anniversary, family beach break, or simply a long-awaited holiday with your dearest ones, you can get ready for your retreat from the comfort of your sofa. Advanced planning will allow you to make the most of your time at the resort by taking away the hassle of scheduling the activities on site. You can even be a bit sneaky and secretly plan a romantic event for your partner! Honeymooners can use Lily Gifts as a wedding registry by creating a wish list of various Lily Beach experiences and products and invite friends and family to help them make the honeymoon even more exceptional. If it is your friends and family who are spending a holiday at the resort, you can wish them a wonderful time or congratulate them on their special occasion by giving them a gift that will certainly appreciate a lot. 1 Create an account by clicking the link below. 2 Create a wish list and add the gifts you would love to receive. 3 Send / share the wish list with your wedding guests and everyone who cares about you. Browse the wide range of experiences and products. When you find the perfect gift for yourself or your dearest ones, simply add it to your shopping cart or select the options you would like to customise the gift with. To purchase a gift, you will need to register an account. For verficiation purposes, an email address and a telephone number are required. Before checking out, you will need to provide us with some information about the recipient of the gift (name, arrival date) to ensure we deliver the gift on time. Payment for any gifts is directly on the website via credit card. You will get a notification once the payment is confirmed.